itely had our goosebumps prickling and our emotions dripping. And, there were those moments that would implant themselves on the ledge of our mind for a long while. Here are the top five ‘OMG‘ moments from Watch the Thrones! Nobody fights for Heda, as Lexa clearly pointed out. She is her own boss, and made quite the spectacular impression at the match. When we thought Roan had her to finish her off, (poor Titus looked like he was about to faint) she surprised everyone by doing a little fancy footwork, and pinning down Roan. Somebody did die that day, but it was neither Lexa or Roan. Gone, but not forgotten. Finn did make an appearance this season, but it was more of a cryptic one. A very distressed and traumatized Jasper has stolen the remains of Finn, that Abby was saving for Clarke and Raven, and took them to the dropship. Monty snaps at him about it, and how he needs to get on with his life. Jasper trips, and spills the ashes among the grass. This might have been his much needed wake up call, as Jasper is beside himself. Hopefully, things will get better for him. Pike, in my mind is a self-imposed jackass. He cares about power, and if anyone questions him about it, he will punish. Not only did he manipulate Bellamy to do his dirty work and committed treason, but he is willingly going to slaughter 300 innocent Grounders, who are only there to protect them. And, if that isn’t enough, he has been unanimously voted in as the new Chancellor! I can clearly see where this is headed and it is not good. Queen Nia was sure was a blizzard to wreck with, and not a very good mother too. Although, she had only appeared in 1.1 episodes, Nia made us all fear her. She was the criminal mastermind behind the Mt. 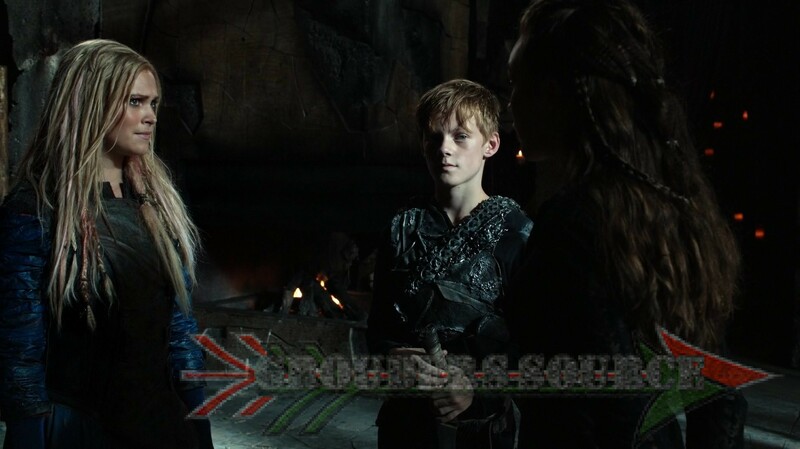 Weather bombing, has virtually no respect for Skaikru, and sacrificed her own son in the death match. Lexa put an end to Nia’s brutal and malicious reign when she threw her sword into her cold heart. I must say, this was a dark joy in the plot. What does it mean for Azgeda though? Roan was happy to become the King, and I hope as hell he is a good one! Bellamy’s behavior, along with his grief, survival guilt, and being manipulated saddened many, including myself. Nonetheless, it made perfect sense, as when you are at your most vulnerable and lowest, the mind can do unthinkable things. This is a pattern that I see too much myself, and it is very disconcerting. Pike got Bellamy to do an act of treason, and influenced him to follow. I do think that Bellamy will do the right thing, and he will not be responsible. Also, he deserves better and needs healing the correct way. He doesn’t need to be pained, nor bring it, even if he is brainwashed in thinking that it is the best. There you have it! The top five ‘OMGs‘ from Watch the Thrones! The gifs are made by me, so feel free to use and share. Come back to see what the top five will be for Thursday’s new episode, Hakeldama!